In my podcast advertising book, I discuss the first podcast sponsorship I ever heard, which was the ManGrate ads on the Adam Carolla Show in 2010. In this episode, we’re going to get the story behind that ad campaign. I recently had the chance to chat with Evan McConnell, inventor of the ManGrate grill enhancement system. Our discussion was really interesting, and a fantastic opportunity to get the perspective of a veteran podcast advertiser. Have questions or ideas for future episodes? I give out my podcast advertising agency email address within the episode, and I’d love to hear from you! My name is Glenn Rubenstein. This is Podcast Advertising. Welcome to the first episode. I think it’s fitting to start where it all began, for me at least, and that’s what the ManGrate grill enhancement system. Now if you’ve read my book, you know that this was the first podcast ad I ever heard on the Adam Carolla Show back in 2010. In this episode, we’re going to get the story behind those ads. 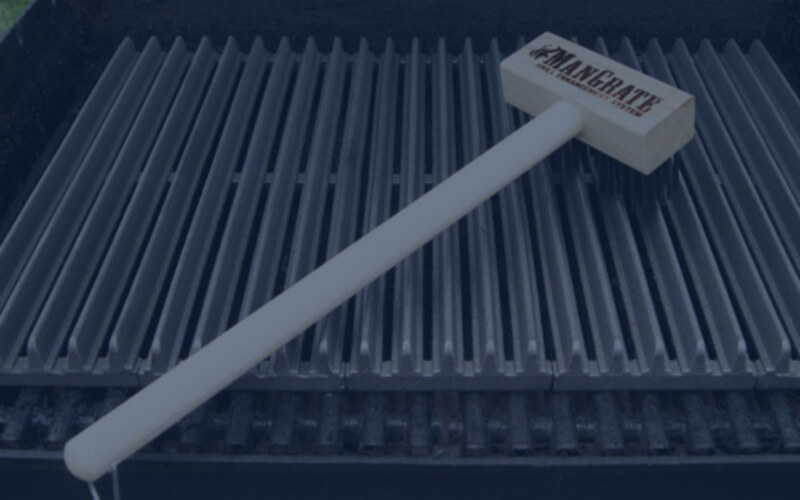 Recently, I had the opportunity to chat with Evan MacConnell, the inventor of the ManGrate. Our discussion was really interesting, and it was a rare opportunity to get the perspective of an experienced podcast sponsor. In this interview, we discuss the story behind the ManGrate and how those podcast ads came to be. We also talk about the results they achieved and the challenges of running years worth of campaigns. So without further ado, here’s the interview. Evan, thanks so much for joining me. So, let me see if I remember the story. You were tearing down or renovating a steakhouse- you discovered these cast iron grill grates. And after some research figured out that that was the key to unlocking the steakhouse flavor. Did I remember that story correctly? Yeah. Many many years before, I had to open a restaurant-nightclub that used to be a steakhouse and removed one of the state grills and it had a large commercial cast iron grates on it, that I just took home and threw on top of my backyard barbecue. They weren’t really well designed for that application because they were actually very hard to clean, so they weren’t as effective as I’d like. My son just bought a house and was getting a grill and he just wanted to see where he could get something like that. You know, he saw what a difference it made. So, he suggested we ought to design something that was specifically designed for backyard barbecues that would be easier to clean and be a size that would sit on most barbecues and that’s that was the sort of the idea. So back in 2010, podcasting was still relatively young and very few companies had even discovered podcast advertising. How did you have the idea to advertise on Adam Carolla’s podcast? A friend of mine worked at a radio station but hadn’t had a radio show, and he was exploring the whole podcast universe as it was just starting to emerge. I hired him to be a marketing director for ManGrates. He suggested that you know Adam Carolla and others might be the good outlets for us to start promoting ManGrates, and he got me in touch, I got in touch with Adam. In fact, I got him on the phone while I was driving down the road and I think Adam’s driving the road, we both pulled up off the side of the road and talked for a while as I explained what we were doing. And Adam loved the concept and I love the idea of really getting an endorsement because this is the type of product that isn’t commonly available. So, I thought it really needed some explanation. Of course somebody that actually may have some experience with it like Adam got and those podcasts worked fabulously. So, Evan, one of the questions that potential advertisers always ask is: how soon can they expect to see results? Obviously, everyone’s experience is different. But how quickly did you realize that it was working? Well, we started seeing it immediately, and that’s one of the big strengths to I think the whole podcast arena. You know his endorsement went a long way. In addition to that, I’m sure you have seen the YouTube videos that he made to complement the concept. Now, I remember that you advertised on Adam Corolla’s podcast for years. What were the challenges in doing a long term campaign like that? The only challenge you know with podcasts, is you do reach a saturation point where after a few years we saw diminishing returns because obviously more and more of the audience either you know had purchased ManGrates or really weren’t interested. So how did your strategy develop in the long term, and how did you go about working with other podcasts, because you tested others aside from just Adam, right? Oh yeah. Well, we knew our seasons it ends up being a great Christmas gift and a good Father’s Day gift. So we would focus on two major seasons: the summer and the winter. We used a wide variety of different podcasts and different audiences. 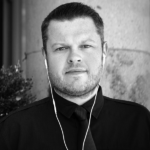 With why a wide range of results, Adam was always by far the best return on investment. But we had a few others that were close but we had a lot of them that weren’t very good at all. And that really speaks to the importance of testing, new sponsors should be testing multiple podcasts. Figure out what doesn’t work. Figure out what does work and double down triple down on those because when you find that perfect fit and a host that really believes in the product- that’s where you’re really developing a long-term partnership that, as you said, can pay off for years. Yeah. He believes in em, now he knows they work, he likes em. We also provide them as gifts for his guests. He had a number of guests that came on and said: “well you know I use those ManGrates and I really love em.” So, it’s turned out to be a very successful really amazing approach to the marketing the ManGrate. Evan, that’s fantastic. Thanks so much for sharing your story. Everybody go to ManGrate.com you can learn more about the ManGrate grill enhancement system there. And Evan thank you so much for your time. There you have it. The story of the ManGrate grill enhancement system. That was indeed the first podcast ad I ever heard, and it introduced me to what a powerful medium podcasting is for telling a story about a brand, business or service. In future episodes, we’re going to talk with other podcast advertisers. We’re also going to talk to podcasters and have informative episodes that explore the subject of podcast advertising. If there’s something you want to see on this podcast or if you have a question send me an e-mail to Glenn at ADOPTER dot media. That’s Glenn at ADOPTER dot media. And if you haven’t done it yet, please pick up a copy of my book Podcast Advertising Works: How to Turn Engaged Audiences into Loyal Customers. It’s available on Amazon and Apple Books. And lastly, please subscribe on iTunes and leave us a rating in review. It helps other people discover this podcast. So until next time I’m Glenn Rubenstein and this is Podcast Advertising.